The state House should pass a bill that will restore Washington schools’ control over about $40 million in federal funding for low-income students. The Senate has already acted. STATE House Education Committee Chairwoman Sharon Tomiko Santos has the power to help districts regain control over about $40 million in federal funding to help academically struggling students. Should she refuse to act on a critical bill, House Speaker Frank Chopp and Majority Leader Pat Sullivan must intervene and get the job done. At issue is Washington’s status under the No Child Left Behind law. Last year, U.S. Education Secretary Arne Duncan followed through on a threat to yank the state’s waiver if student test scores did not play some role in teacher evaluations. After rejecting the bill last year, the state Senate passed the bill March 11, no doubt after hearing from districts smarting from the loss of funding. Tomiko Santos, a South Seattle Democrat, says she is willing to hold a public hearing on ESSB 5748, but not until March 31 — the very last day before a deadline for bills to be considered in committee. Her last-minute decision to delay testimony all but guarantees the measure will not get voted out of her committee. That would please the Washington Education Association, which strongly opposes tying any of their members’ job-performance reviews to academic achievement. 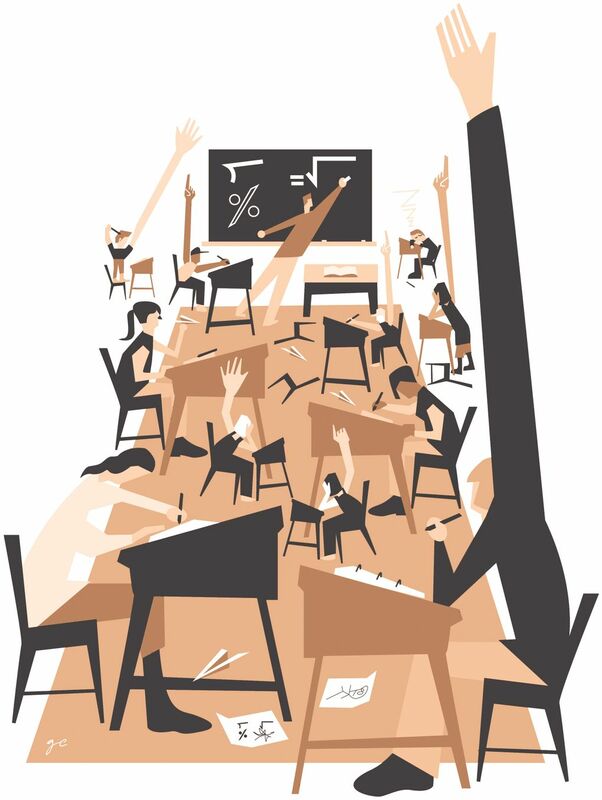 Teachers won that battle last year, but at high cost to students who need the most help. This Title I money is intended for 485,000 of Washington’s poorest children who also qualify for free and reduced lunches. Education is their chance out of poverty. At a time when legislators are under a state Supreme Court order to fully fund public K-12 education, there is no justification for withholding millions from superintendents who know best what their students need. Since losing control over this funding last fall, district leaders have amassed half an academic year’s worth of stories on the negative effects to their schools. Even the district Tomiko Santos represents — Seattle Public Schools — lost access to $1.3 million for services to help kids improve their math and reading skills. The state Senate already has done its job, recently passing ESSB 5748, which requires test scores to be just one of many factors tied to teacher and superintendent evaluations. This change would not take effect until fall 2017 at the earliest, and the teachers union and districts could negotiate the terms at the local level. After the vote, Seattle Superintendent Larry Nyland publicly thanked Democratic state Sens. Jamie Pedersen, Jeanne Kohl-Welles and David Frockt — all from Seattle — for supporting the district’s efforts to “regain much needed and valuable flexibility.” They were brave to buck the union pressure. Tomiko Santos is noncommittal about advancing the bill. Instead she says she is counting on U.S. Sen. Patty Murray, D-Wash., to overhaul the No Child Left Behind law at the federal level. As if Congress will make progress on much of anything. Despite Murray’s considerable talents and her position as ranking minority member of a key committee that could rewrite that flawed law, relying on quick progress is unrealistic. In the meantime, embarrassingly, Washington state remains the only state to lose a waiver and not have it restored. The Democratic-controlled House can join the Senate and bring the state back into compliance with federal law. Despite the rhetoric circulating in emails from lobbyists for the teachers union, ESSB 5748 is not an attack on educators. Adults should never be pitted against children from poor families. This bill is a compromise that respects teachers’ rights and the hundreds of thousands of struggling students who have one shot at a public education. They need every resource their schools can provide to help them succeed. Don’t wait. Hold the hearing this week, Rep. Tomiko Santos. Allow a vote in committee so the bill can advance to the House floor. If she won’t allow a vote, Speaker Chopp, whose district also includes Seattle Public Schools, and Majority Leader Sullivan should find a way to make it happen. Editorial board members are editorial page editor Kate Riley, Frank A. Blethen, Ryan Blethen, Mark Higgins, Jonathan Martin, Thanh Tan, Blanca Torres, William K. Blethen (emeritus) and Robert C. Blethen (emeritus).